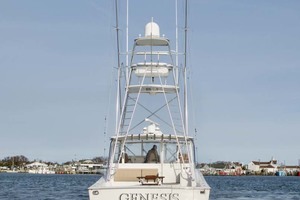 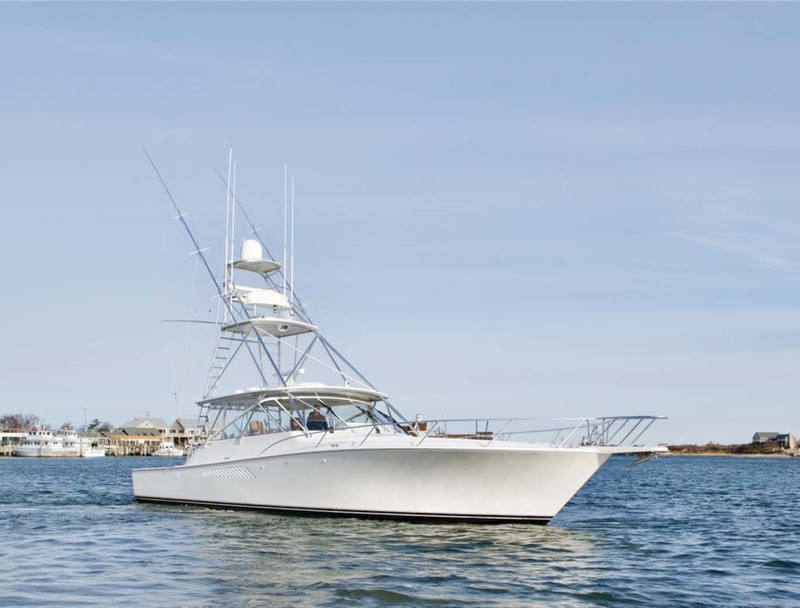 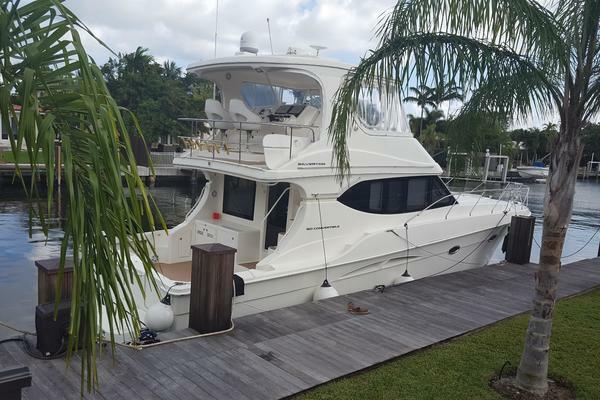 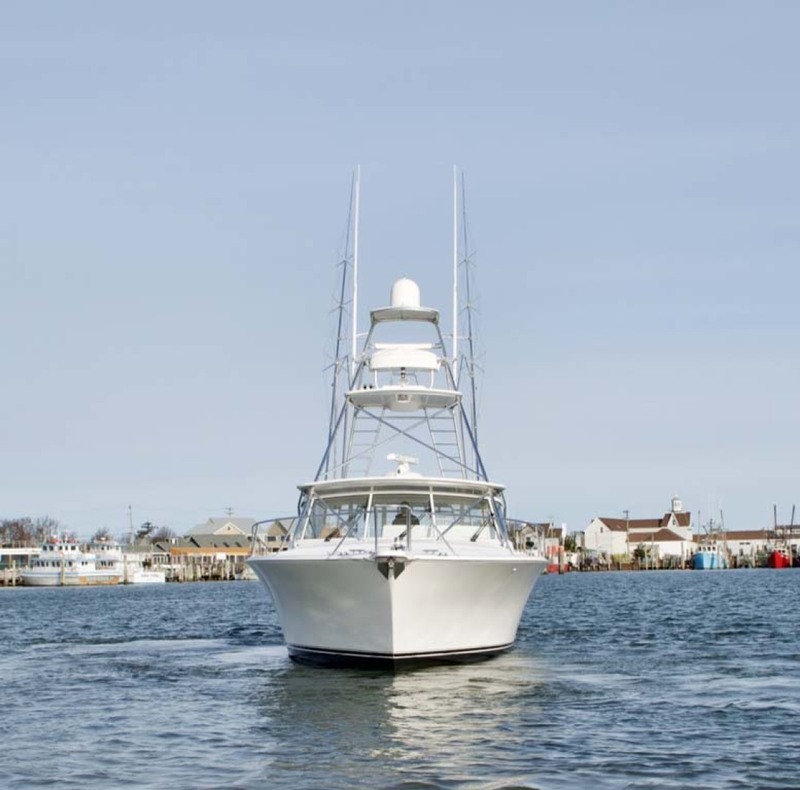 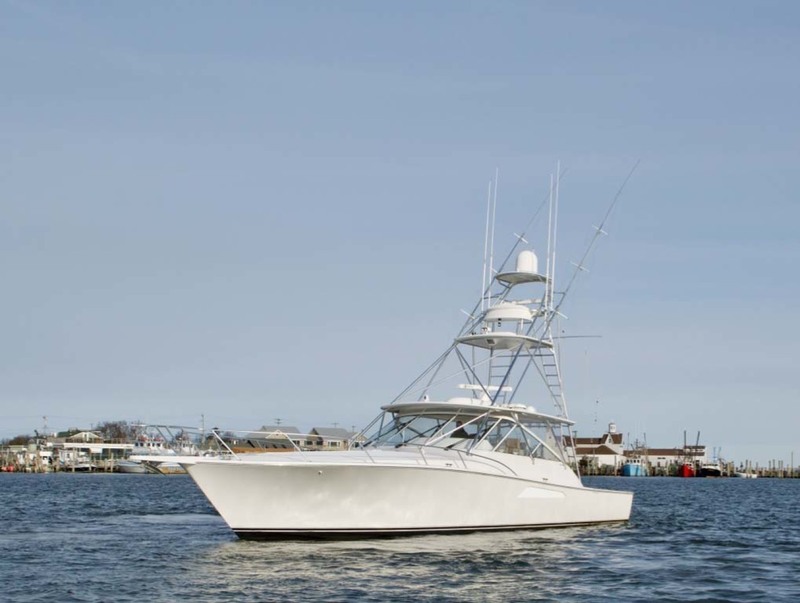 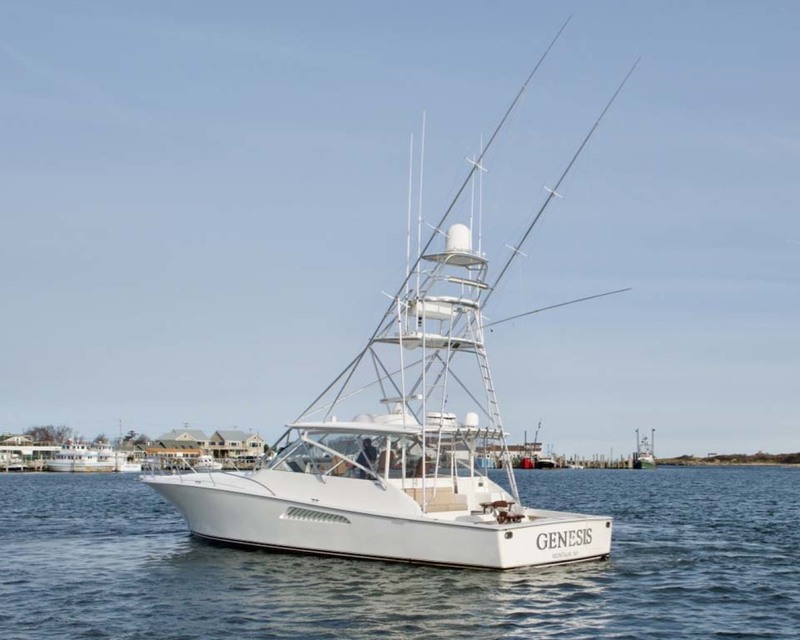 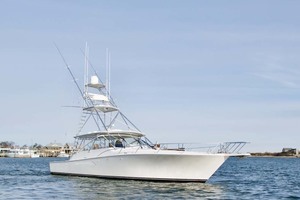 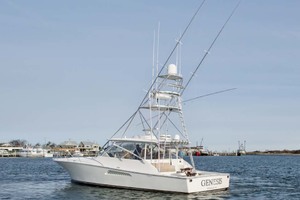 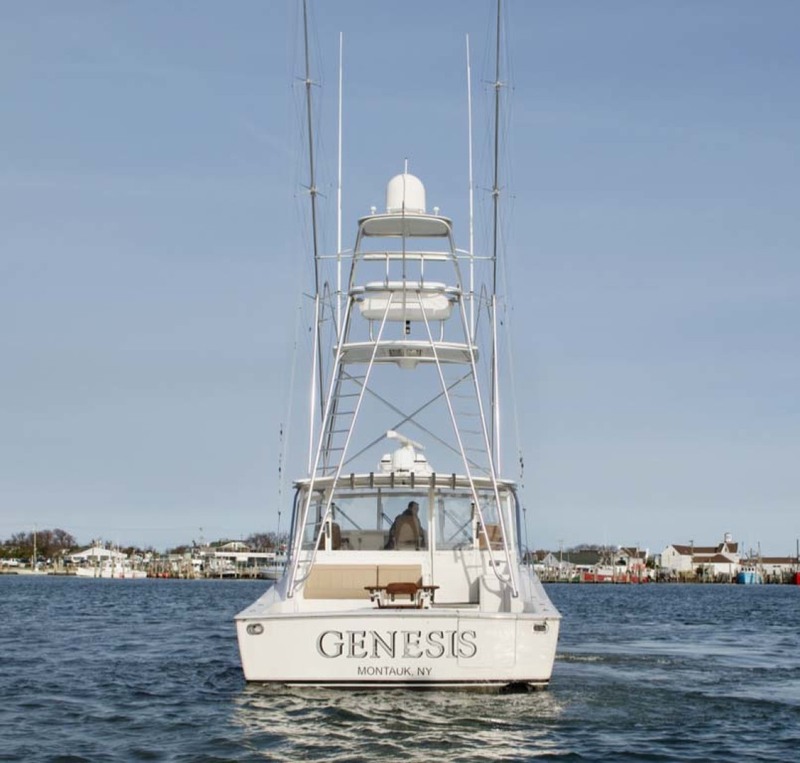 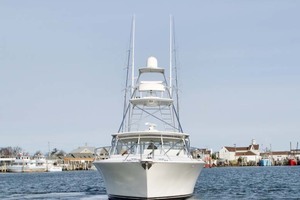 Genesis makes for a great fishing or cruising boat, that is very-well outfitted and equipped. 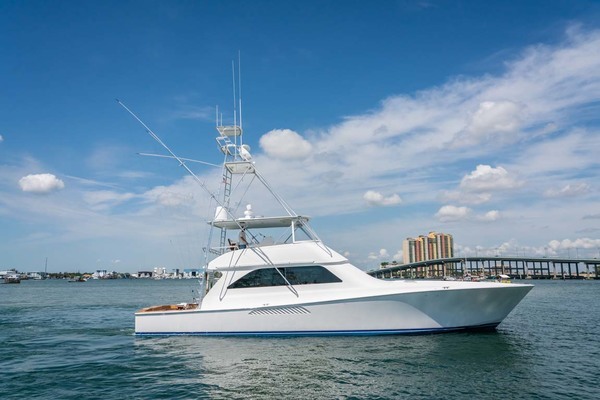 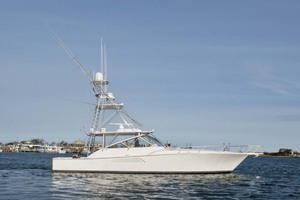 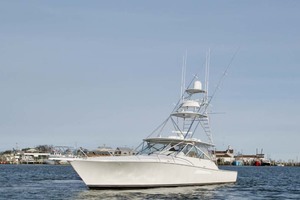 Powered with MAN V12 1360’s, provide a nimble and comfortable 32kt cruise, with superior handling whether in close quarters or chasing the fish of a lifetime. 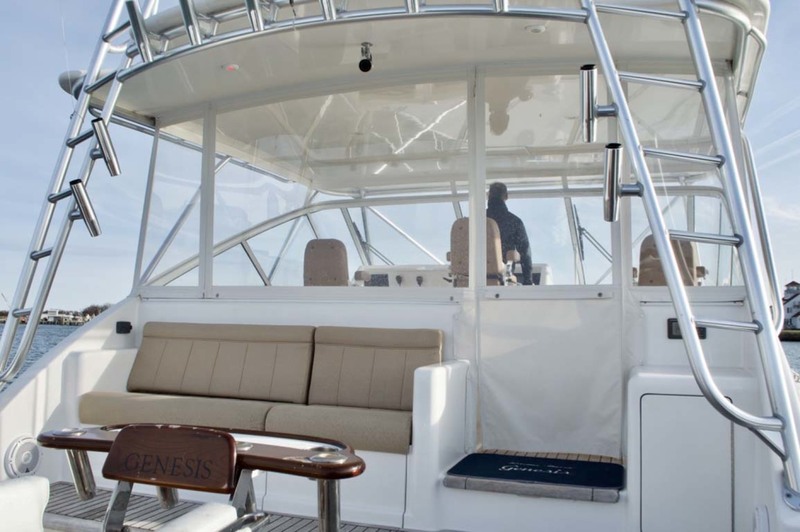 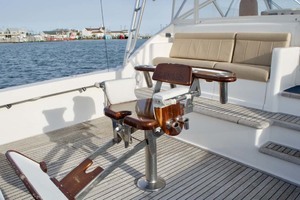 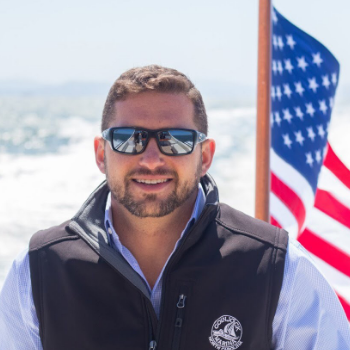 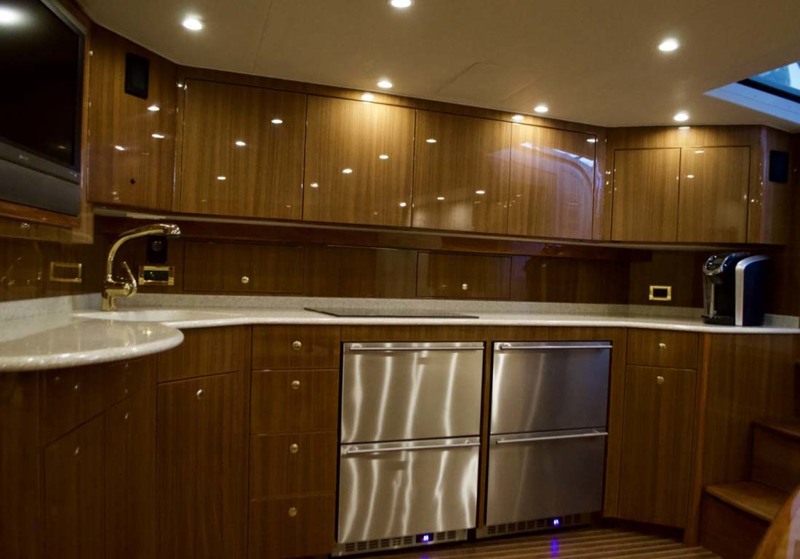 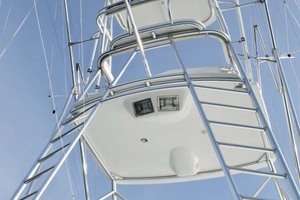 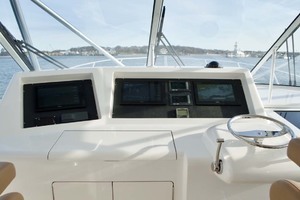 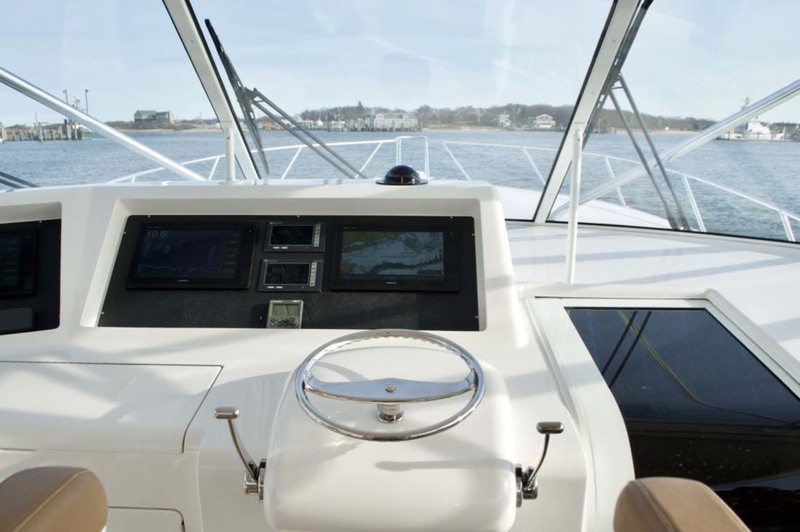 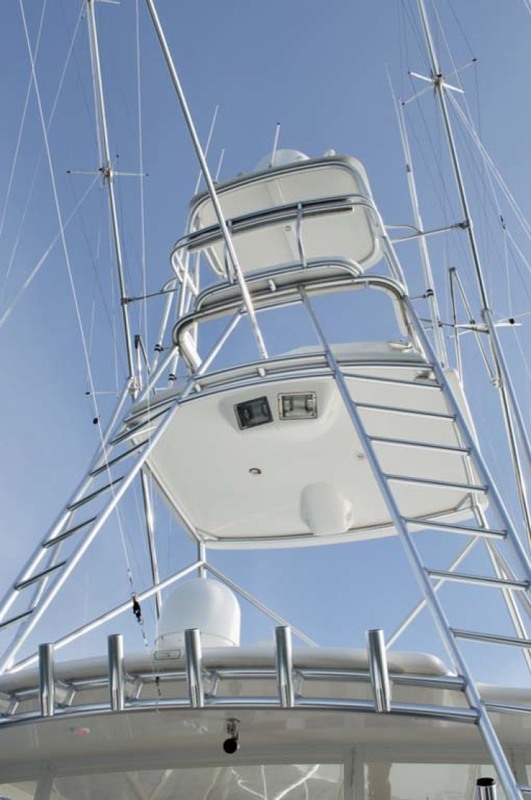 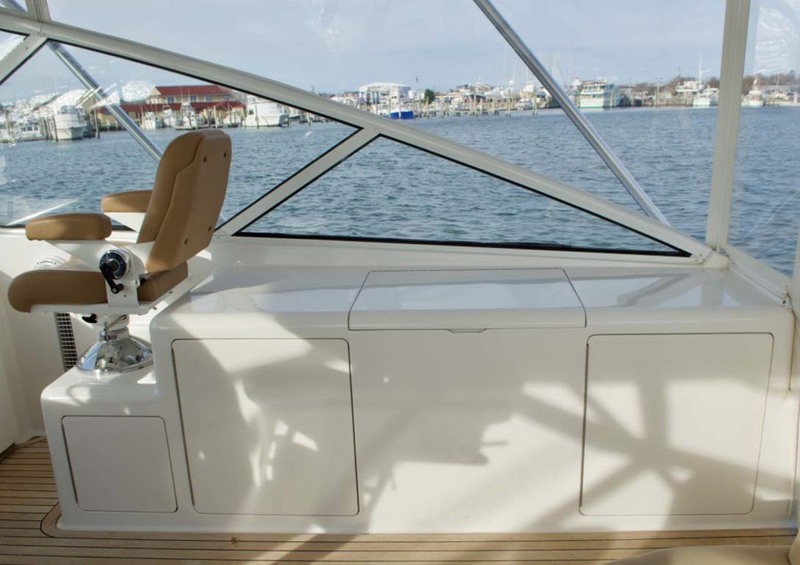 Some notable features are: top of the line electronics package, mezzanine seating, Eskimo ice maker, Palm Beach tuna tower, Stidd helm chairs, teak sole in the cockpit and helm decks, fighting chair, extra fuel option, FLIR, SAT phone and TV. 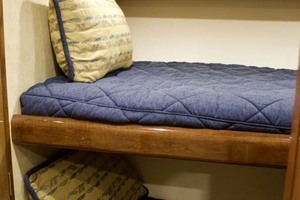 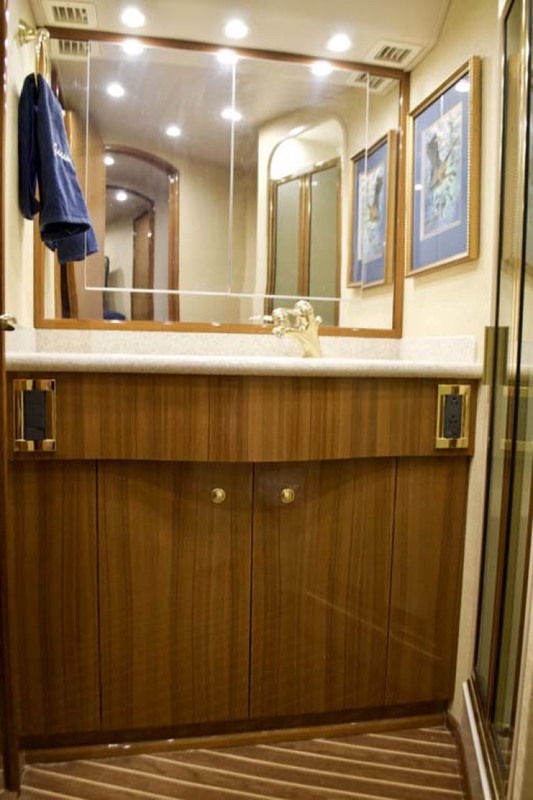 Her accommodations are ample with her spacious helm deck, salon, two staterooms and large head. 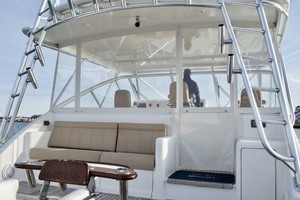 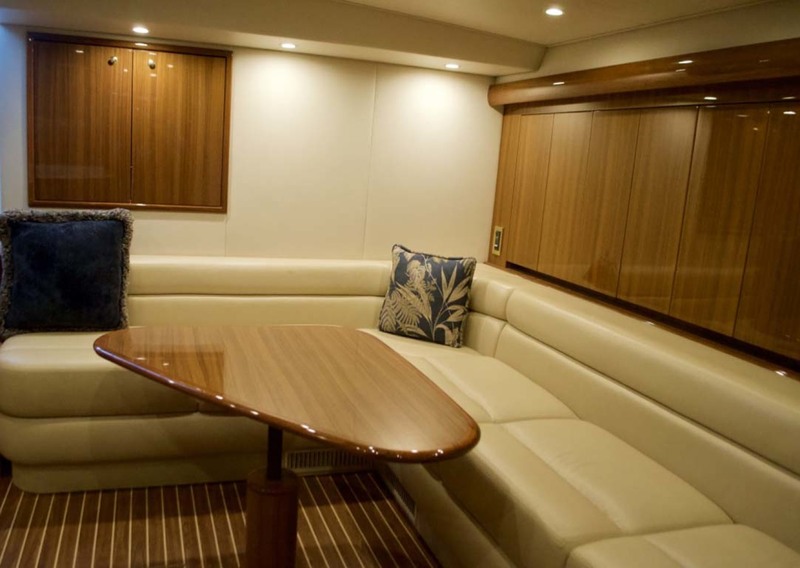 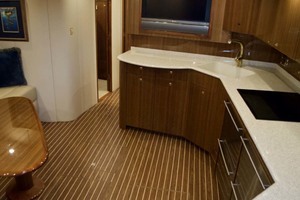 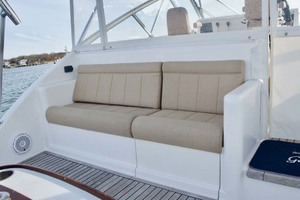 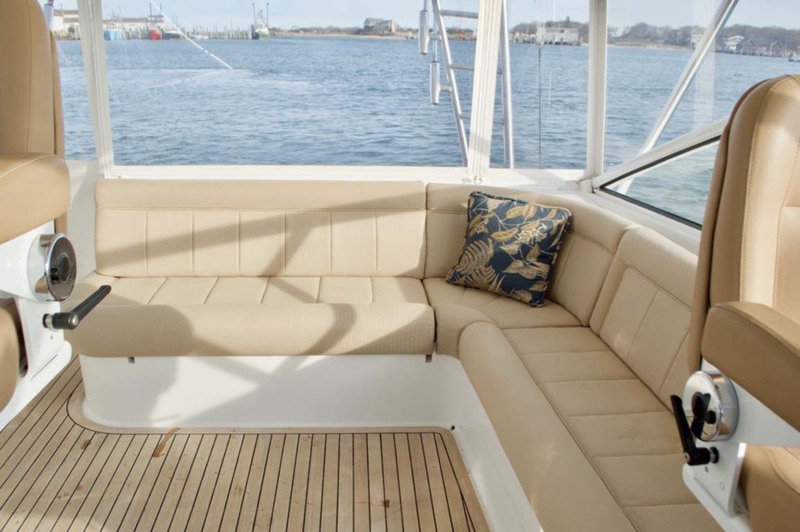 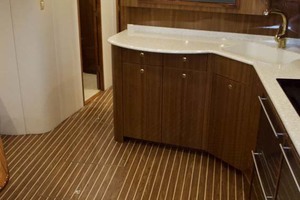 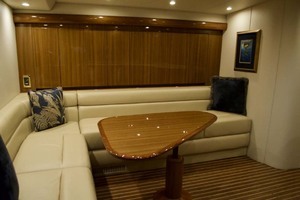 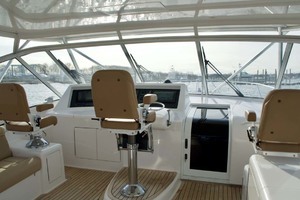 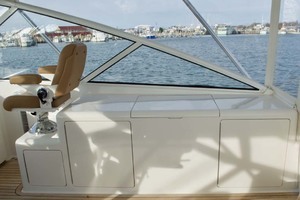 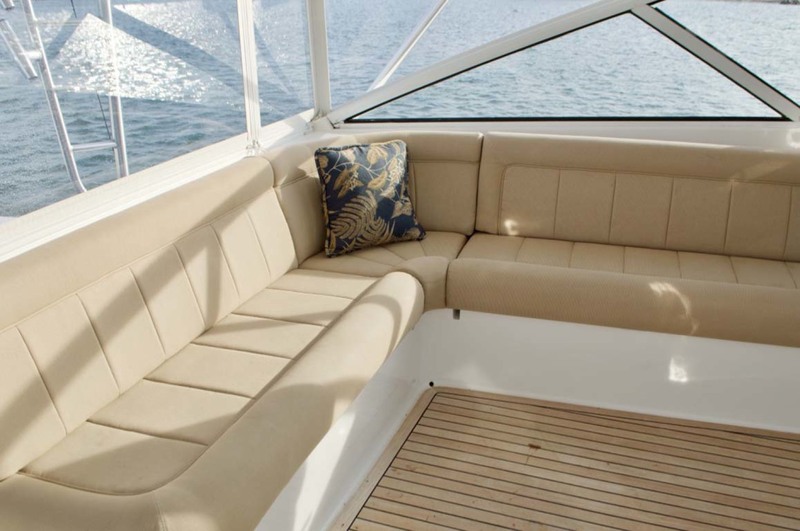 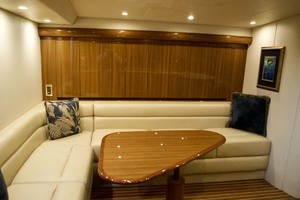 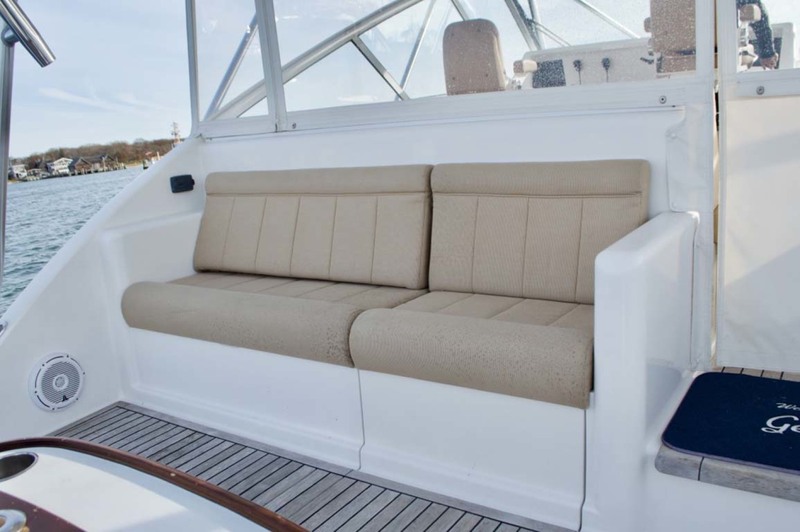 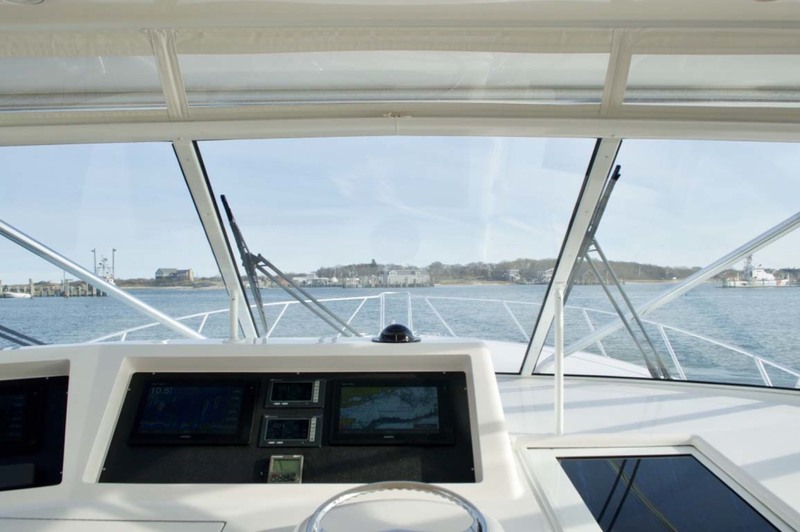 Upon entry into the large cockpit you will notice, gunwale to gunwale teak sole, transom live well, mezzanine seating wit integrated refrigeration, in-deck macerated fish boxes and many other features. 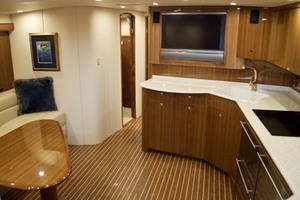 The command deck features a full eisenglass enclosure, teak sole, triple Stidd helm chairs, L-shaped settee, refrigerator, and tackle center. 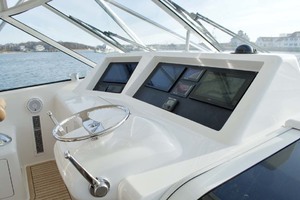 The helm is well appointed with top of the line electronics. 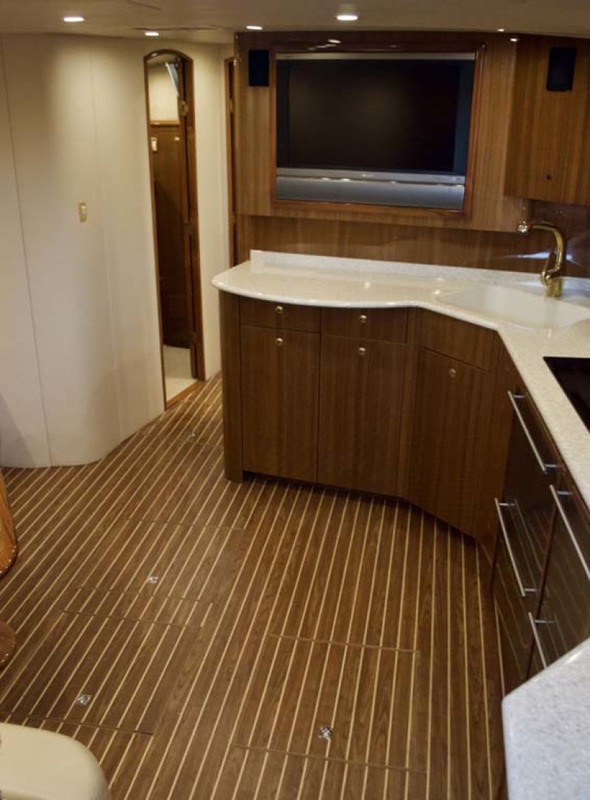 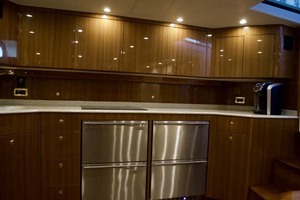 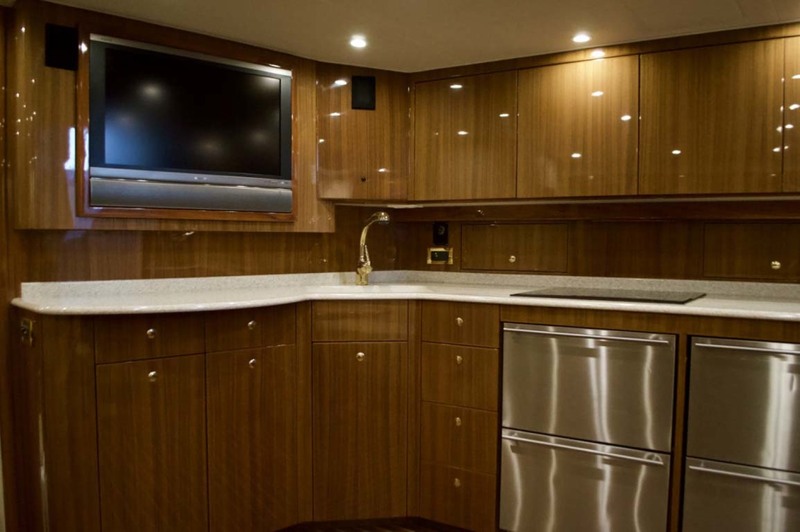 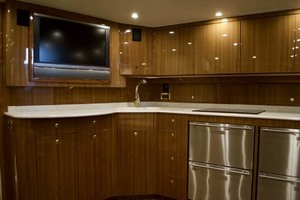 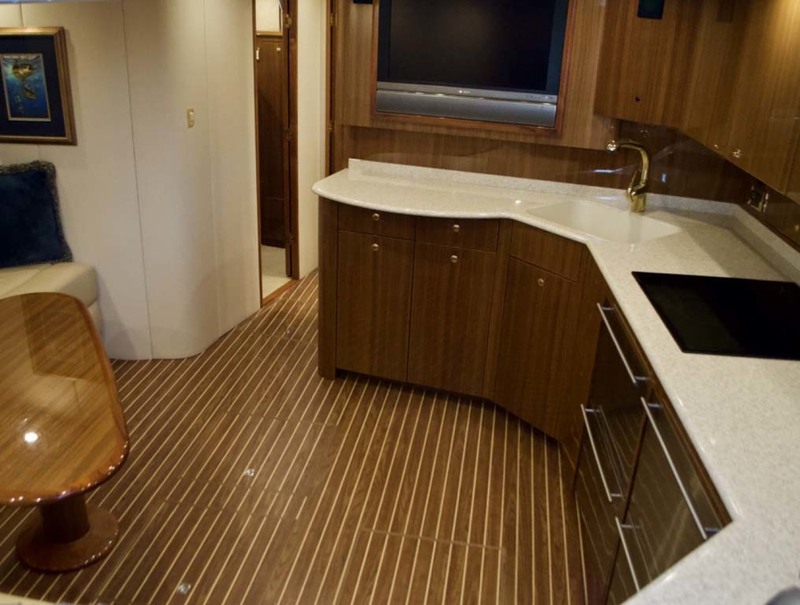 The cabin is lined with high gloss cabinetry, teak and holly sole, full galley, comfortable and spacious salon and flat screen TV. 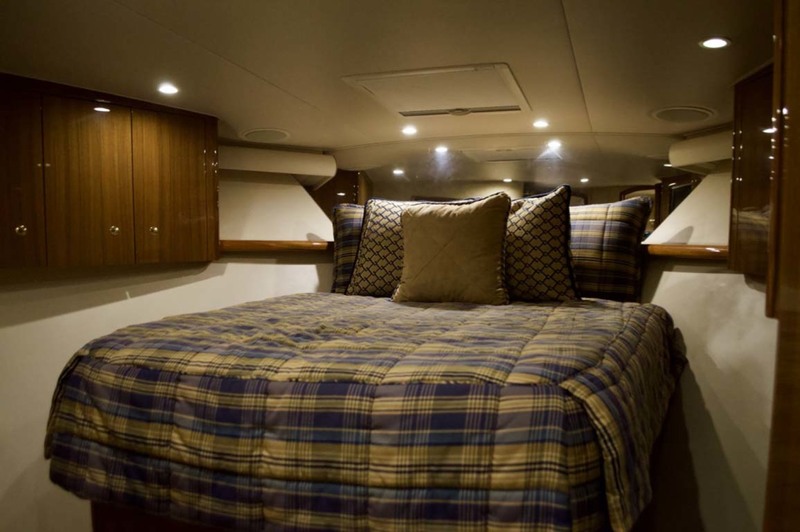 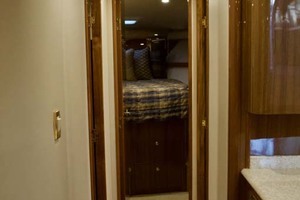 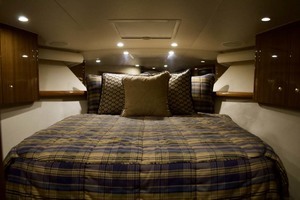 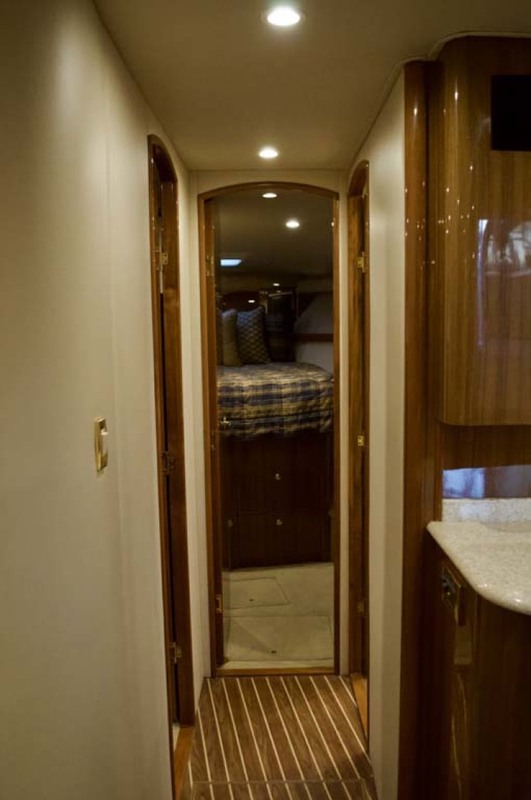 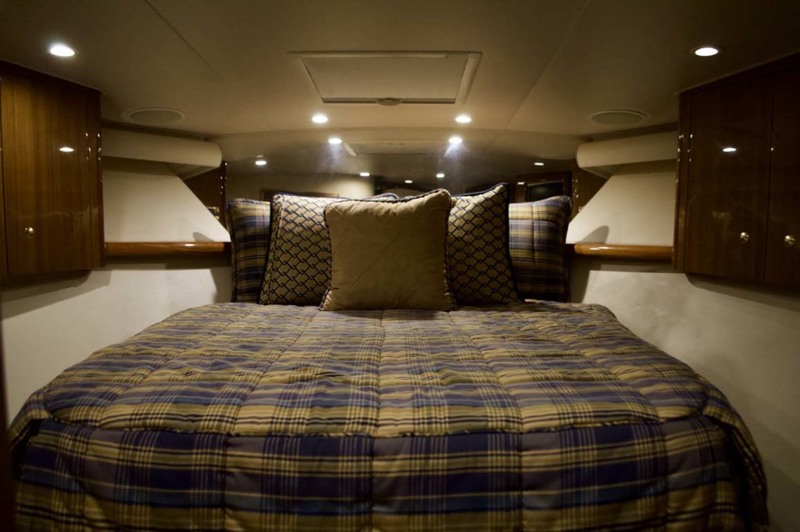 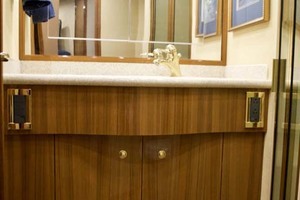 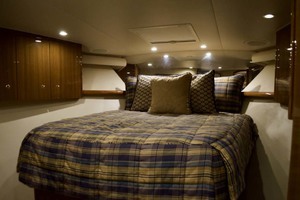 The master stateroom is forward, features an island style berth with storage below, cedar lined hanging lockers, flat screen TV and en-suite head access. 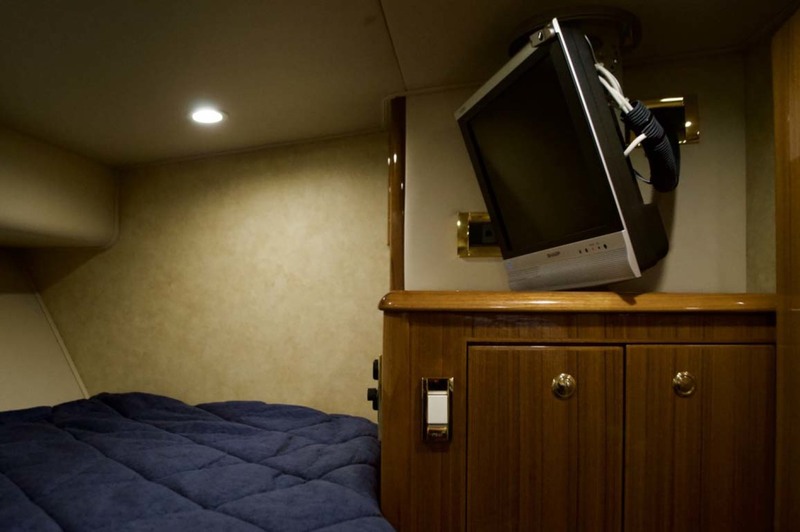 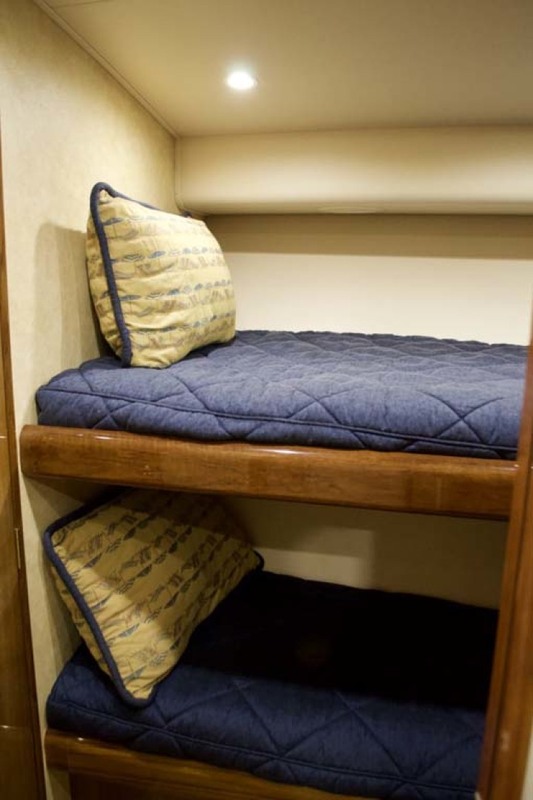 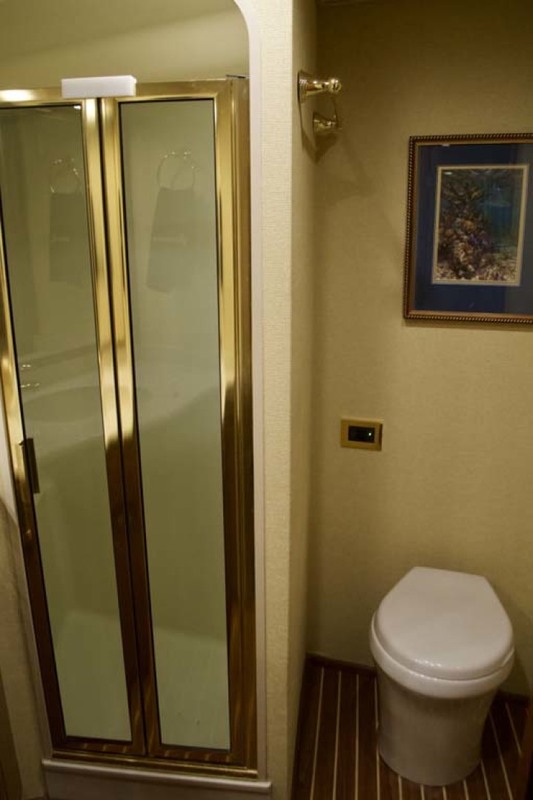 The guest stateroom is to port, immediately forward of the salon and features dual single berth bunks with storage below, hanging locker, flat screen TV, access to a large storage or rod room. 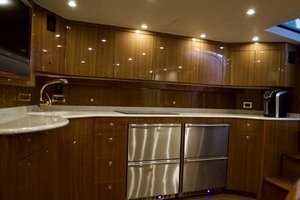 Engine room entry is via the mezzanine.